The boat and engine are believed to be in very good condition. Seller just cannot find the time to use this great bass boat. It is waiting for the right person to put it to good use and have some fun with it. 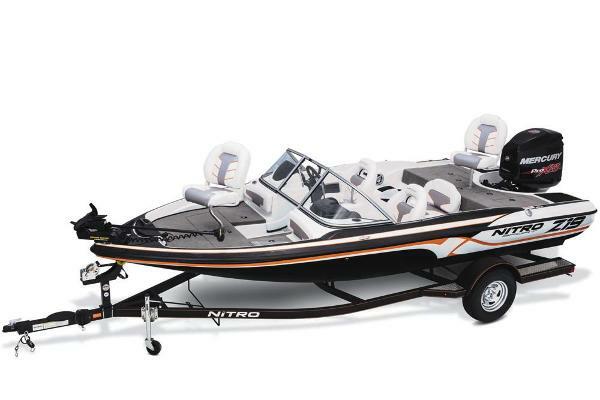 Stock #159920 Nearly new NITRO Z19 If you are in the market for a fish and ski, look no further than this 2017 Nitro Z19, just reduced to $28,000 (offers encouraged). 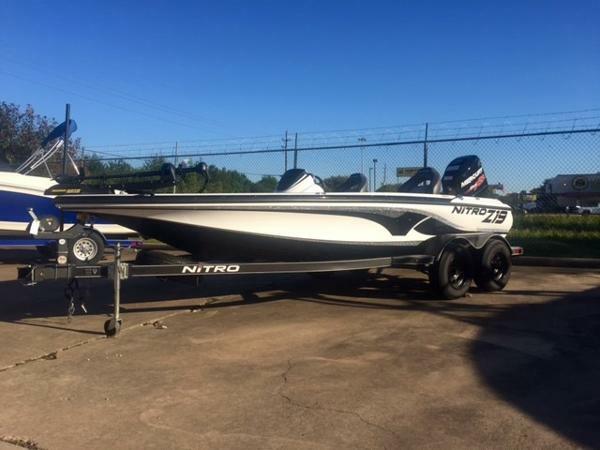 This boat is located in Keller, Texas and is in great condition. She is also equipped with a Mercury engine. Reason for selling is no longer using. 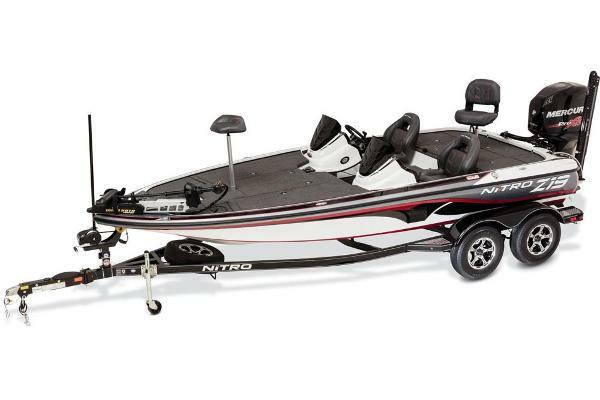 2017 Nitro Z-19 Are you looking for a new Nitro boat but at a discounted price? This boat has NEVER been on the water! 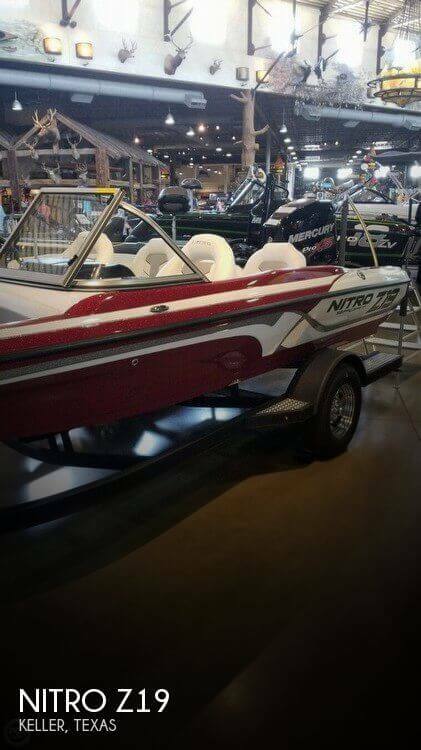 It was the prize boat in a tournament and the winner decided to upgrade! You pay NO freight charges and NO prep charges! 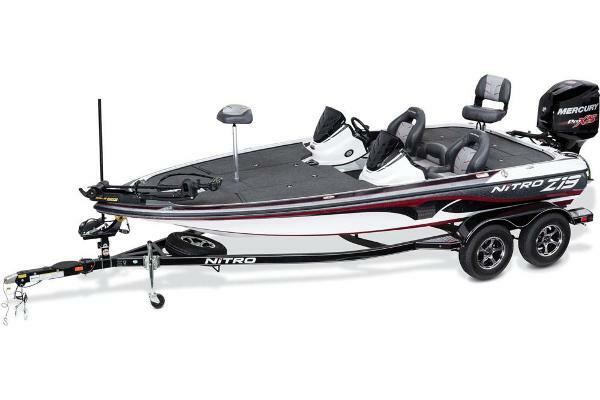 This boat is equipped with standard features such as: tilt hydraulic steering, LED courtesy light, 2-bank 8-amp battery charger, 8" adjustable jack plate, bike seat and fishing seat with pedestals, 24V, 70-lb thrust trolling motor. PLUS, you get upgrades such as: Humminbird Helix-7 G2N graph at the dash, custom KMC XD series wheels, a custom spare tire to match, a tandem-axle trailer with brake, and a custom Nitro boat cover!